Are You Making the Same Marketing and Sales Mistakes as My Local Gym? I’ve been eating way too many burritos in the Mission District lately. My friends joke that the first place they look for me is the taqueria down the street from my apartment. As I munched on a burrito while watching college basketball, I saw a commercial for a free 1-day trial at my neighborhood gym. While many people believe using television as a marketing channel is outdated, it’s worth noting that Google reports that 60% of its search queries are the result of someone seeing an offline (print/television advertisement). The television ad (call-to-action) instructed me to visit the gym’s website to redeem my free 1-day trial. So what did I do after watching the commercial? I ‘Googled’ the gym to find out more about not only the free offer but also learn about the gym – from pricing to reviews to staff. Keep in mind: the company INSTRUCTED me to visit the website. The website was outdated. The blog was last updated about 6 months ago and it lacked dynamic content that would have allowed me to learn more about the gym. If you’re going to instruct people to visit your website, you should at least keep it updated. The company did a great job of directing me to the site; however, the website content should have been targeted to new prospects researching the gym. Anticipate what prospects will do when they land on your page. After I surfed the company website, I bounced over to Yelp to read the reviews. I was satisfied with the reviews, so I decided to redeem my 1-day free pass. The online sign up was simple: I entered my first name, last name, and email address. When I hit submit, the instructions told me to visit the gym to redeem my free pass. I walked the two blocks to the gym to redeem my free pass. I was greeted at the door and asked to complete a liability waiver. Sure, I’m happy to sign my life away if I drop a dumbbell on my head. As I was working out on the elliptical machine (is that manly? ), feeling the burrito grease leave my skins pores, I thought: “The gym spent a lot of effort and money to entice me to try its services. It even secured my name, email address, and physical address (from the liability form). It’s not easy to secure my contact information. I bet they have a really good sales system to ensure I don’t walk out of here without a fight.” What happened when I finished my workout? I walked out without any fanfare. No sales pitch. Nobody asked me for feedback. Nobody made an offer. But they let me walk away. Not only did they let me walk away, but also they still haven’t contacted me about my experience and/or whether I want to join the gym. The company spent lots of money (advertising, marketing plan, store front, salaries) for my trial. It’s a shame that its follow up strategy is ‘hoping’ I’ll decide to sign up for a membership. It should have systems in-place to ensure I sign up before I leave and follow up sales systems for 30, 60, 90, 120 days. Did you enjoy your time at the gym? Thank you for the trial – did we mess up? Last chance to save 30% on a yearly package? If you’re going to spend lots of money on an integrated digital and traditional marketing campaign, it’s wise to anticipate what the prospect is going to do along the buying decision. The company paid a lot of money to get me to try the service, why haven’t they followed up with me? What can you do to increase your chances of converting your prospects to clients? Let’s be honest: the holiday card and/or holiday email thank you to your prospects and clients ended up in either the trashcan or the spam folder. As a business owner/marketing professional/human being, you understand that clients and prospects are inundated with advertisements. You have approximately three seconds to catch his or her attention. Imagine how many holiday cards your clients/prospects received during the holidays – cards and gifts from businesses, family members, friends, and former friends that forgot to updated the ol’ mailing list (always a bit awkward for about 5 minutes). Are you ready to stand out and get ahead of your competition? Why now is the perfect time to nurture your clients and prospects? A) You will not be lost in the crowd. As I mentioned: everybody and their mother sent a holiday card/gift/email during December. In this ultra-competitive landscape, you should be doing everything in your power to stand out from the competition. You are in a relationship with your client(s): Your competition sent a holiday card/email (you probably did too). They won’t follow up in January or February or March or April. You will. What Should I Send My Clients and Top Prospects? 1) ‘Spring is only X-days Away’ – Here’s a $10.00 gift card to the frozen yogurt shop (bonus points if you purchase gift card from local store) – close your eyes and imagine the warm weather that’s on the way. Be authentic. Be Creative. Your clients and prospects will love you for it! They might even share it with their social circle; which is like free advertising for your company. As we opened the door our senses were immediately overwhelmed: The sounds of soft reggae music; the smell of freshly brewed coffee and hair products ; the sight of a clean, modern designed lobby, furnished with leather chairs and flat screen televisions. There was even a small bar in the corner. Brianna requested a glass of water. “Sparkling or still?” Seriously? My only thought: Did we enter a hair salon or a five-star resort? We were at a hair salon…. Yes, I accompanied Brianna to the hair salon. It’s a long story….don’t ask. As Brianna disappeared behind the large glass wall for her two hour hair appointment, I settled in the nice, comfortable leather chair. The receptionist brewed a fresh cup of coffee for me and insisted that I enjoy the free Wi-Fi. SportsCenter was on the flat screen television directly in front of me. I could get used to this setup. I can’t tell you how many times I heard a variation of this phrase. Each time a stylist finished a client’s hair and led her to the front to checkout, other stylists and clients in the waiting room fawned over the new hairstyle. 1) The stylist hugged the client (seriously, every client got a hug) and left the payment transaction and next appointment scheduling to the receptionist. 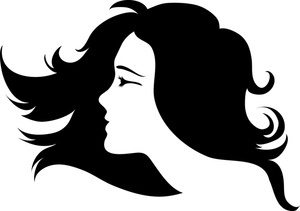 The stylist is there to cut and style hair (what they do best), not handle administrative transactions. Side note: If my barber went in for a hug it would be beyond a little strange. This is to ensure the client receives not only a reminder for her next haircut but also so the client receives all future marketing communications from the salon. 4) Also, the client was invited to an ‘invitation only’ event featuring a semi-famous make up artist. Complimentary food and drinks. FABULOUS! Needless to say, the client feels like a million bucks. 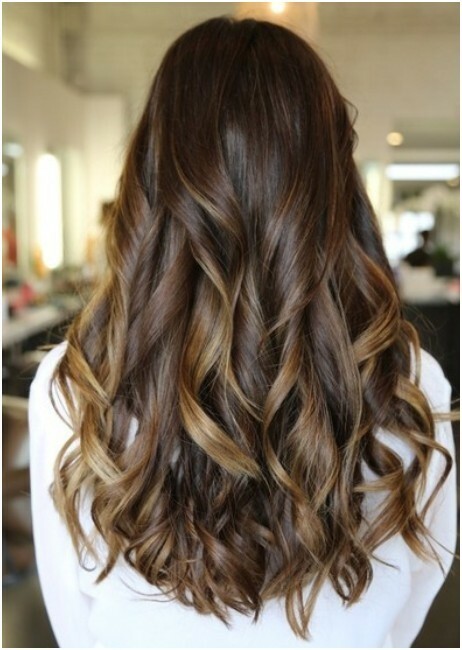 She will probably tell at least 3 to 5 girlfriends after they comment about how good her hair looks (referrals). This awesome customer experience is not an accident. Management took the time to not only design and implement the experience but also train the team to execute the experience. What’s your plan for delivering a memorable customer experience? Make each step of the experience memorable for the prospect/client. It will lead to more cross-sell opportunities, lots of repeat business and increase your referrals. All of which will put more $$$ in your pocket. I was close to literally (not really; well, maybe) biting someone’s head off. Whenever I find myself annoyed by innocent questions or by a stranger inadvertently brushing my shoulder as we pass each other on a crowded sidewalk, it’s probably the result of my low blood sugar. It means I’ve waited three hours too long between meals and I need to get food ASAP. Today, downtown San Francisco was busier than normal at lunch. After reports of an armed robbery and the kidnapping of the San Francisco Giants’ mascot, police swarmed the streets. 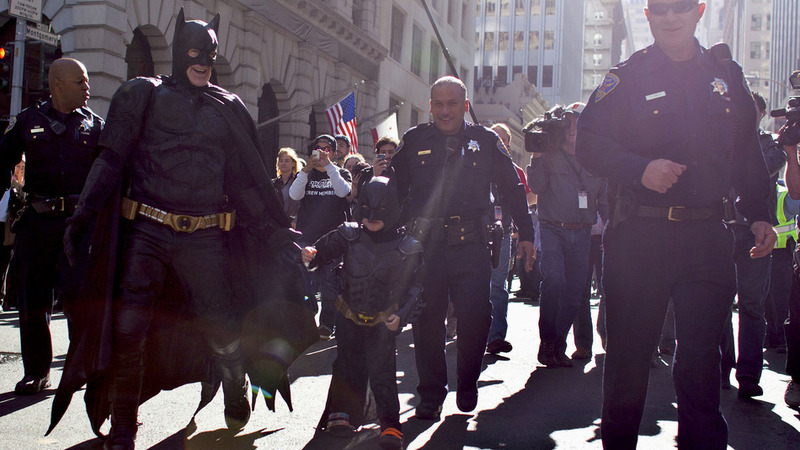 Luckily a young superhero, Miles Scott, AKA Batkid, saved the day! I could have used his help to fight my hunger pains, but he was plenty busy saving the city. Excellent job, Miles! Because several people arrived downtown to witness Batkid work his magic, there were long lines at most reputable lunch spots. Long wait lines and Kurt’s low blood sugar are not a good combination. Luckily, Brianna and I noticed a restaurant across the street with a short line. It’s called ‘The Melt’, and as its slogan says, it’s grilled cheese happiness. 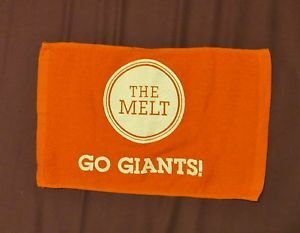 Ironically, I first heard about The Melt when I received a free orange ‘The Melt Rally Towel’ (pictured below) at a San Francisco Giants game last year (I’m guessing the goal of the rally towel marketing campaign was to raise awareness and get people to try it….the marketing worked…at least on us). Brianna ordered the Thanksgiving special grilled cheese and corn chowder soup. I ordered a turkey grilled cheese and tomato basil soup. We patiently waited for our meal; however, we noticed that people who ordered after us were getting their food before us. As I watched the woman who ordered 10 minutes after us tear into her grilled cheese with a smile on her face, it was time to take action. I’m not sure whether I’m jaded when it comes to customer service at quick serve restaurants, because I was ready for a battle. I was completely prepared to point out every patron with food that ordered WELL after us. 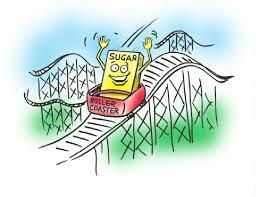 It was the blood sugar; I’m normally a very calm person. After I calmly explained that we had been waiting for 15 minutes, the team member immediately apologized. He checked for the order and noticed it was stuck in their system, meaning the order was never received. Without hesitation, he said the meal would be free. He moved the order to the front of the line and personally delivered it to our table when it was ready. Again, he apologized for the mix up and asked if there was anything else he could do. He turned a negative customer experience into a very positive customer experience for us. The food was delicious. We plan to visit The Melt again the next time we are in the financial district. Do your team members have the authority to make decisions to ensure there’s a great customer experience…even when things go wrong? How do you and your team react when a client has a negative experience? It’s wise to design and implement a customer experience procedure for turning a negative customer experience into positive customer experience. “I’m sorry; our event coordinator is not on location today. Would you like to leave a phone number and I will have her call you?” said the bartender at local winery. I looked straight ahead, hoping I would just disappear, I knew the potential customer (lead) would not be pleased with the response from the bartender. All I wanted to do is enjoy my glass of wine. I didn’t want to hear an argument. “So you are telling me I drove all the way out here for nothing?” She was not happy. Dressed in a business suit and carrying a briefcase, the woman explained that she drove 30 minutes to meet with someone face-to-face at the winery. She wanted information about how much it would cost to rent the venue for a private party of 50+ people. The winery is located about 20 miles outside of Charlottesville, VA. It’s not a convenient location to simply come back at another time. Do you really want to rely on/tell a lead to come back at another time? No. Should the lead have called to see whether an event planner was available? Maybe. However, when a lead walks in your place of business during normal business hours, there should be a procedure that ensures an outstanding experience for the lead, so he or she becomes a paying client. 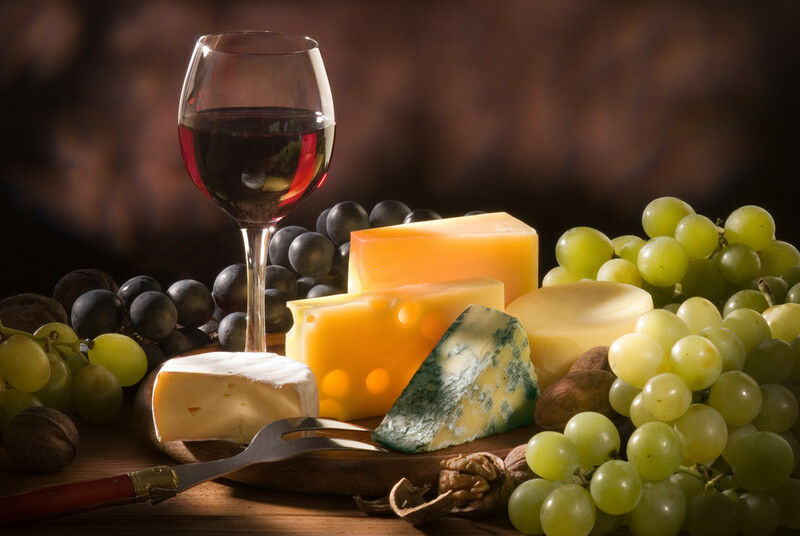 The winery spends a lot of marketing dollars and resources on attracting highly-qualified leads. Is the event coordinator available? While it’s great to spend resources and time creating marketing campaigns that attract leads, it’s equally important to have procedures and workflows in-place to deliver a WOW experience that converts those leads to clients. Don’t leave this to chance. You should have procedures, workflows, and cross-training for your staff to ensure those leads are nurtured so they go from leads to clients. 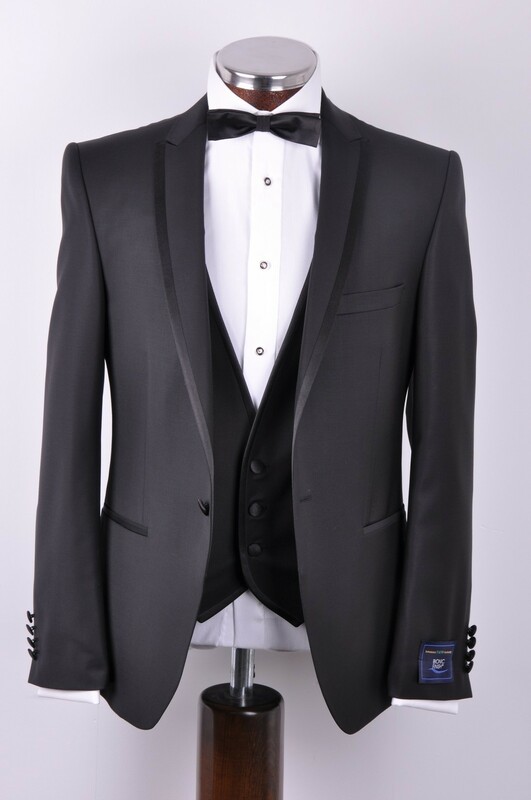 Back in April (5 months ago) I got fitted for a tuxedo at Men’s Warehouse. It’s not my favorite thing to do, but one of my best friends asked me to be in his wedding. After the initial fitting, the associate gave me a coupon for 50% off the entire store. The associate explained that it didn’t need to be used today; in fact, the coupon was good for almost 4 months. When I went for my final fitting at Men’s Warehouse (5 months later), I also needed to purchase a pair of khaki pants for the rehearsal dinner. I brought my 50% coupon along with me – I’d much rather pay $35.00 than $70.00. The associate didn’t say a word. I didn’t either. Actually, he didn’t even look up to see my reaction. He simply punched in a code to override the expiration date. I got my khakis for 50% off. Men’s Warehouse got a loyal customer. I will definitely be back when I need to update my wardrobe. Are your employees empowered to make decisions that enhance the customer experience? PS – Yes, I will keep a coupon for four months if it’s worth it – (50% off is worth it)! My mom was in a hurry. She always works better under pressure—don’t we all? She was hosting an engagement party for 60 people; the party was 4 days away. Today was the day to take care of food for the guests; she decided 150 pieces of sushi would make perfect appetizers – easy to eat and delicious. Upon entering Harris Teeter grocery store, she made a beeline to the sushi counter, brushing shoulders with anyone in her way – she was on a mission to place an order for 150 pieces of sushi. She knew the platter likely wouldn’t be ready that day, but thought 4 days’ notice was surely enough time to prepare the sushi. Unfortunately, her customer experience at Harris Teeter resulted in a lost sale for the grocery store and an unhappy customer. 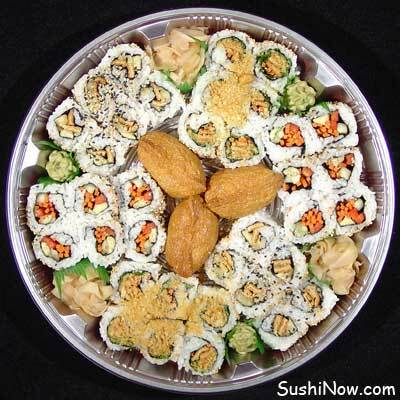 When she arrived at the sushi counter, she was greeted by a Harris Teeter team member. When she asked where to place an order for a sushi platter, the Harris Teeter team member responded that the sushi team members were not available at this time. The team member said, “You might want to come back in like an hour or two.” And my mom’s reaction was, “Did they really just tell me to comeback in an hour? Oh. No. They. Didn’t! That one response cost Harris Teeter around $120.00. Maybe a drop in the bucket to the big grocery store chain, but I’m sure it’s frustrating for management. Think about how much money it spends on marketing materials and sales associates to sell its products. Is the team member at fault or is it managements fault for not properly training the team member? Any team member that wanders close to the catering section should know what to do when the main contact is not available. The team member should have a short contact form for the customer to complete, and maybe give the customer a $5.00 or $10.00 off coupon (better yet – have the authority to give a small discount) to redeem when placing the order. 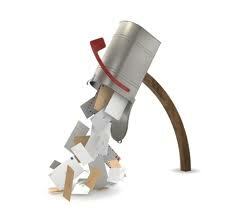 Do you have procedures for capturing your incoming leads? Design a customer experience for each customer touchpoint, and be sure to include a contingency plan and cross-train team members so you don’t lose sales.